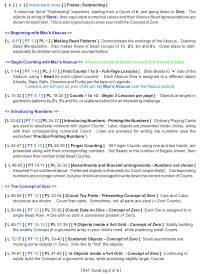 Each Lesson Group and the Math Concept being developed there is described in a paragraph. 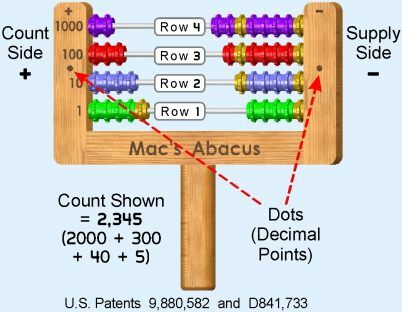 There are 16 Concepts with 48 Lesson Groups in Mac's Abacus Basic workbook. 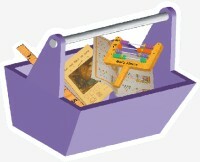 Starting with simply Making Bead Patterns, your child is taken on a developmental journey that ends with the ability to understand Value and to Compute Quantities, including managing Money. 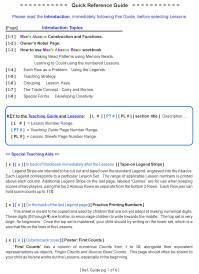 Each topic has page references to both the Lessons themselves and their location in the Teaching Guide.